American Airlines AAdvantage has launched a new campaign to purchase miles with up to 42,500 miles bonus plus 10% discount on the price through February 8th, 2019. Today’s Airfare of the Day goes to American Airlines and their business class excursion round trip fares between Hong Kong and Mexico. 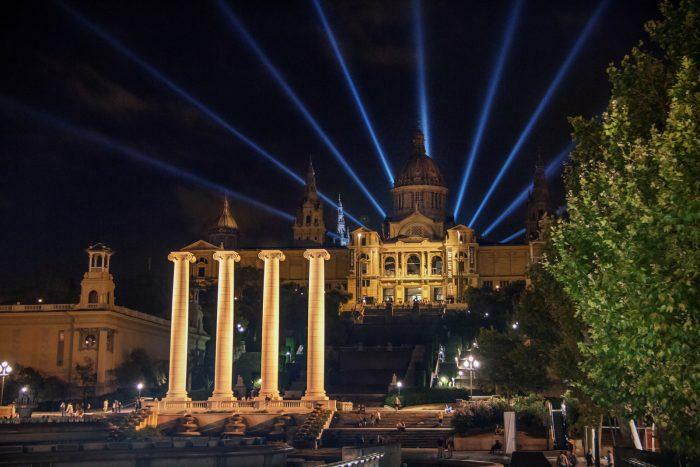 Today’s Airfare of the Day goes to American Airlines and their premium economy class round trip fares between New York and Barcelona. American Airlines yesterday launched targeted AAdvantage Status Challenges for select members. You can check your eligibility by logging to your account and see if it shows under “Promotions”. The acceptance and registration of this offer closes on January 15. American Airlines has advanced either Gold, Platinum or Platinum Premier up front and members then have until May 15, 2019 to complete the challenge to keep the status until 2020. Today’s Airfare of the Day goes to American Airlines and their premium economy class promotional round trip fares between Amsterdam and New York. This fare can be routed via London (LHR) on British Airways codeshares. American Airlines has launched targeted AAdvantage Status Challenges for select program members. You check your eligibility by logging to your account and checking if it shows under Promotions. American Airlines has advanced Gold, Platinum or Platinum Premier up front and members then have until May 15, 2019 to complete the challenge to keep the status until 2020. American Airlines has launched an offer to purchase miles with up to 50,000 bonus miles through January 31, 2019. 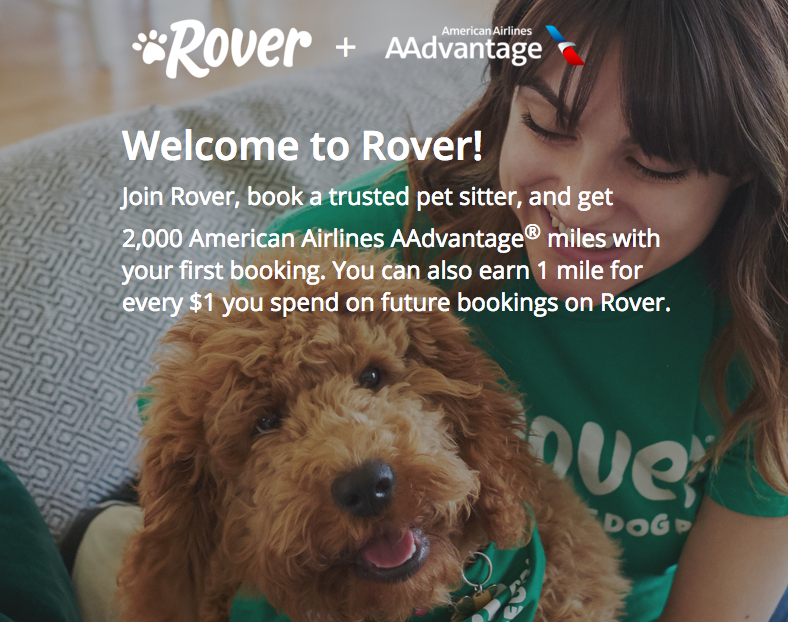 Dog owners can earn 2000 American Airlines AAdvantage Miles when having their four legged friends walked the first time by pet sitting service ROVER that caters exclusively to dogs & cats. 2000 miles will be awarded after trying the service for the first time which can be as little as a simple walk around the block. 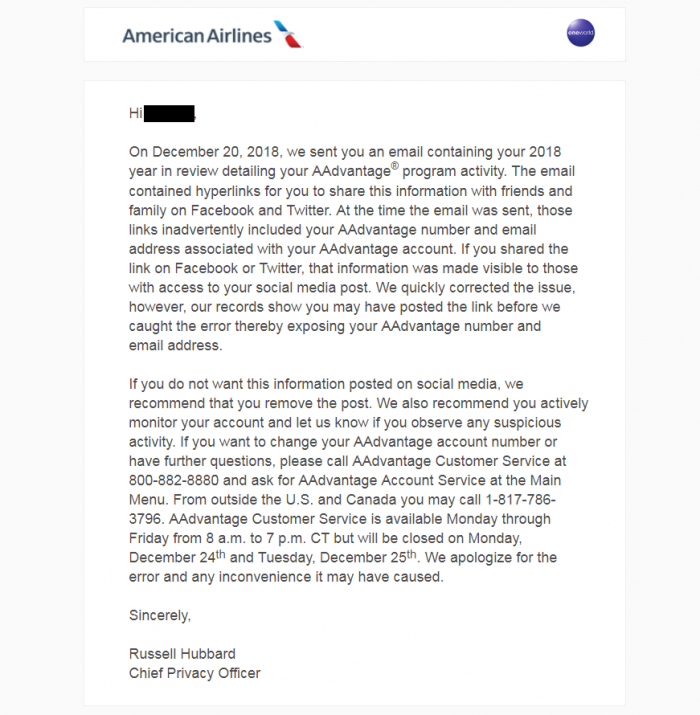 American Airlines has been warning AAdvantage members that were sent “Year-In-Review” promotional emails that encourage their stats to be shared on social media that they might have been sharing a little more than that. The issue with sharing the information on social media was that the AAdvantage member number and email number associated with the account were both exposed too. American Airlines has launched/extended an offer to purchase miles with an up to 120,000 bonus miles through January 6, 2019. Reader Question: American Airlines Calls Passengers Asking How They Received Their Sponsored Upgrades – How To React? 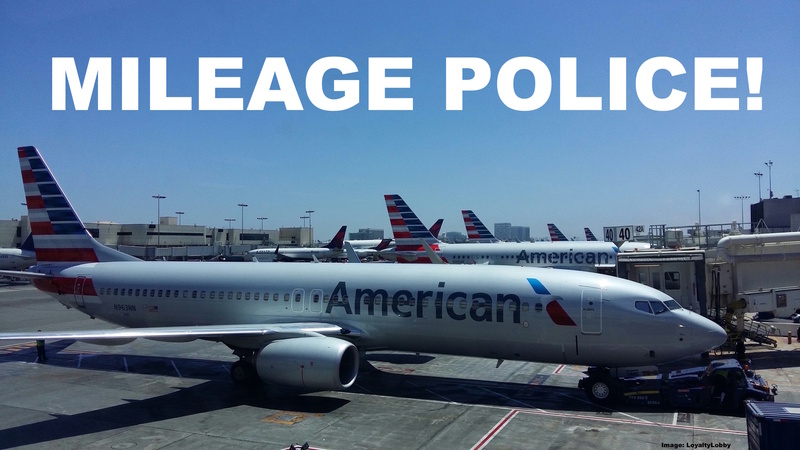 Today we have a very interesting Reader Question as we received an email saying that American Airlines is making calls to question passengers who recently received sponsored flight upgrades. 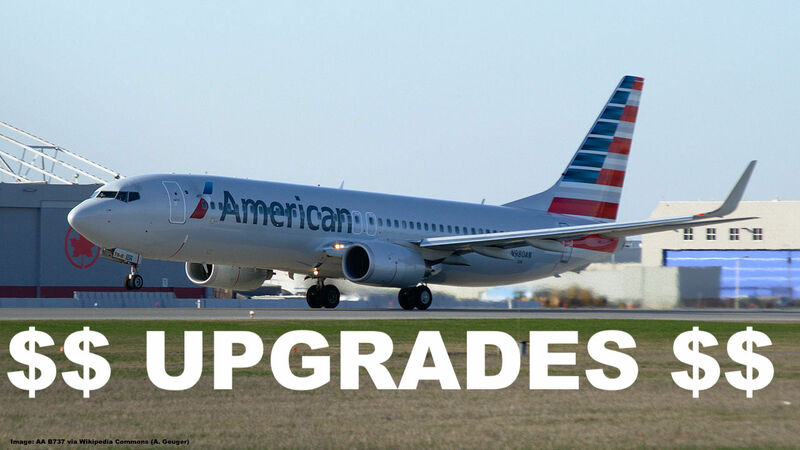 American Airlines Affordable Cash Upgrades During Online Check-In – A Worthwhile Investment? Today I’d like to have a look at American Airlines where I was surprised that (non status) passengers are being offered cash upgrades at reasonable prices during the online check-in process. The practice of airlines to offer such upsells is controversial among frequent flyers as it eats away on the complimentary domestic upgrades the airlines offer but of course their primary purpose is to drive revenue.